Welcome to compressor information. Here we will attempt to offer some guidance & advice for beginners who may be confused by the new world of home & studio recording & dance music making. To start with, these are the top-selling compressor units last month at Thomann superstore, one of the largest retailers in Europe - This shortlist gives you some pointers as to what products are popular in this category at today's date. The audio compressor is a very useful item and one which you need to add to your system at some point if you are recording any type of audio, but especially vocals, basses & drums. 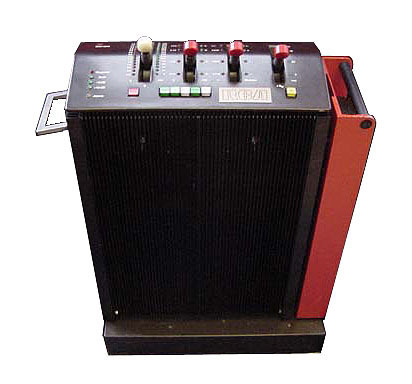 The Compressor automatically adjusts and maintains the signal levels as they go to H/Disk or Tape to be recorded. This evens out the distance between loud & quiet parts by crushing the audio if it gets too loud, and raising the audio in the quiet sections. Compressors also can radically beef up a synth-bass sound for example, making it sound tight 'n' punchy. So all in all it's something to get although you should probably get a Delay & Reverb unit first. Having said that, if you work in hardware you can get all three unit types for a starting price of less than 200 GBP which will do the job just fine! INPUT..... To set the level in. THRESHOLD..... This sets how high the signal must reach before the compressor kicks in. RATIO..... This sets how much compression is applied in ratio to the dB rise in signal level above the Threshold. ATTACK..... This sets how fast the compressor kicks in once the Threshold has been breached. DECAY..... This sets how fast the compressor lets go, once the input signal has dropped back below the threshold. LINK..... Links the two sides for stereo operation. OUTPUT..... Sets the output signal level. Ok... Lets take a look at the different types of compressor & stuff relating to compression. Soft Knee compressors work differently... they apply compression gradually as the signal approaches the threshold level. As the input signal gets within about 10db of the threshold level, the Soft Knee compressor starts to gently apply compression, but with a very low Ratio, which increases proportionately as the Input level gets nearer to the Threshold setting, so that by the time the Input level actually reaches the Threshold level the compressor is applying its gain reduction at the full level as set by the Ratio Control. Soft Knee compressors are thus more subtle, as they don't wait & then suddenly apply the full level of compression at the Threshold breach point... Because they apply the compression gradually, they are more subtle in use, and thus more suitable for compressing whole mixes, or gentler sounds that hover around the threshold point. 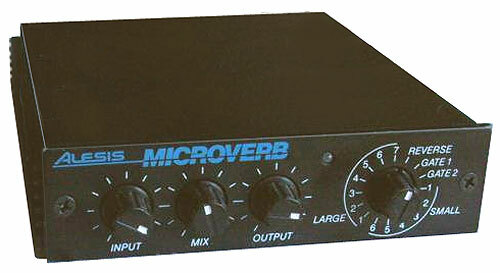 Some units such as the Alesis 3060 compressor, allow you to switch between a Hard & Soft Knee function. The PEAK setting makes the compressor crush any signal rising above the threshold, no matter how fast the transient... This is an ideal mode to use for something like digital recording, where you need to absolutely stop any signals from overloading the input, because digital cannot be "saturated" in the way tape can, and you get terrible digital distortion... Peak compression however is not very smooth or natural sounding, & can produce very un-natural noticable results unless you use a low compression ratio... However, it can work well on fast attacking sounds like drums, working fast to maintain a more even level for each drum hit. The RMS mode setting is a more natural sounding mode, and responds similarly to the human ear... (Oh yes, ears do have compression!).... RMS mode doesn't bother too much about quick short peaks that might cut through above the average signal level... even if you set a fast attack time... RMS mode works on a wider 'average' than PEAK mode, thus allowing some fast transients through, but closing down more when continuous loud peaks appear. As mentioned above, the compressor monitors the MAIN incoming signal through a side chain curcuit... The Side-Chain Socket provides an alternative input for a different control signal than that which is going into the main input....or provides the ability to patch into the side-chain something like an Eq unit so as the compressor responds only to frequencies boosted by the Eq... This Eq does not effect the actual input signal...only the controls of the unit... the controls then adjust the actual Main Input Signal. The "Stereo Link" switch on a compressor allows the two sides of the unit to be linked together for processing stereo signals... Imagine trying it without this function... A loud signal occurs at the left input, and suddenly the volume of the left side signal is reduced... this will really screw up a stereo sound. Basically the Link control forces both sides of the unit to work together, based on the average of the two input signals, or whichever is the loudest at any time... Also the control of both sides is placed with ONE of the two sets of controls... different manufacturers use different methods to do this... some use just a straight "One side controls both"... others also average the two sides settings, or hand control to whichever of the two sides has the highest settings. 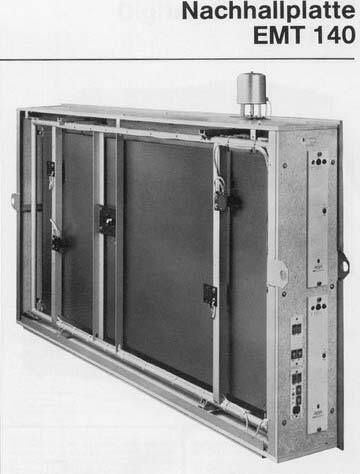 Some units include an "AUTO" mode switch... This switch adjusts the Attack & Release during use to automatically suit the dynamics of the audio that is being processed... This is a good mode to use if you're doing stereo compression on a mix, where there are constantly changing dynamics... In these cases it will probably be more effective to use this mode than trying to set the unit up manually... Auto mode is also useful for things like acoustic guitars, or bass, which is often difficult to compress without getting pumping effects. These are by no means fixed rules you must adhere to, but rather good starting points... Don't be afraid to experiment. often, a horrendously compressed piece of audio can give a very dramatic effect... Compression as with other FX, is very much a listening choice... Try starting with these figures, & then adjust things until it sounds right. Always check the sound in context of the mix as well... Often people only check the compression in solo... Things can sound quite different once the sound is in place in the mix. Fairly common one this, you probably know it, but if y'don't it's pretty simple......Getting a snappy emphasis in this way works with most sounds, but obviously has greater effect the more hard the attack of the sound is. As I mentioned in the Compressor section, the unit listens to the incoming signal through a "Sidechain" curcuit... The Sidechain gives instructions to the actual compressor by the settings you make in the front panel controls......as soon as the Sidechain hears the signal go over the Threshold level, it tells the Amplifier (VCA) at the input to turn down the level. The side chain socket allows an alternative input signal to overide the main input signal for controling the compressor... NOT... as the signal to be processed. Bring the backing music into the Main Input. Bring a send from the DJ's voice into the Side-chain Socket. Set the compressor to fast attack, short/auto release, & ratio about 3 or 4 to 1... in soft knee mode (if you have option). Set the music running, and get the DJ to chat... repeating phrases of a few seconds, & leaving spaces of a few seconds. Adjust the compression ratio... until you get a low music level you like that lets the DJ be easily heard when he speaks. Adjust the attack & release, so as the music reduces fast enuff, & returns to level at a speed you like (usually quite fast). Run some tests with the DJ talking & leaving quick gaps between talking... tweak the settings until it sounds just right. For a stereo backing signal, just do as above, but put the music thru the Left & Right channels of the compressor, and set it to "Stereo Link" mode... Then adjust the settings on the control side... Check out which side takes control in Stereo mode, & patch the DJ's voice in to that sides Side-chain input. Argggh!... Bloody sibilance!!... all that "SSSS-ing" overload coming off the mic' when the singer pronounces "S" sounds!... Well, you just need to do some De-essing... again by utilising the Side-chain. Setup exactly as above for "Ducking"... but send the vocal you are processing into the Main Input on the compressor. The sidechain socket will be a stereo 1/4" socket... Check which is the send & return (tip or ring)... make up a stereo 1/4" to 2 X mono 1/4" leads. Patch a Parametric eq' or Graphic eq' into the side-chain... Take a line FROM the Side-chain socket to the EQ INPUT... then return the signal FROM the EQ back to the side-chain socket via the tip or ring. Now the Equaliser is patched into the Side-chain... remember, the side chain controls the Amp on the compressor. Now setup the EQ to TUNE INTO the problem high frequency... USUALY IN THE 5K-7K REGION... & give about 10 db of Boost. OK... now the compressor is tuned via the Side-chain to compress MORE heavily signals of the range that the EQ is tuned to. Set the ratio etc to crush the Sibilant phrases without sounding unatural... and off you go. Ah... set up this one, & you'll be in heaven as you get crisp vocals, with no SSS-ing... 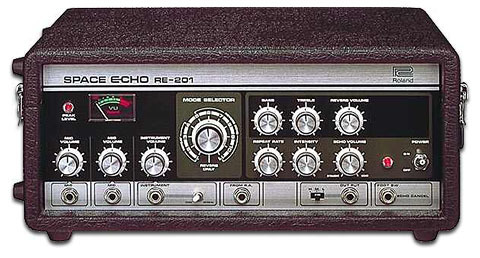 If you dont have an outboard eq...you can use even a little graphic guitar footpedal... or even a spare mixer channel to patch into the side-chain... remember... the Eq is only to CONTROL the frequencies that the compressor will crush... The actual vocal does not pass through the Eq... so dont worry about noise problems from the Eq unit! 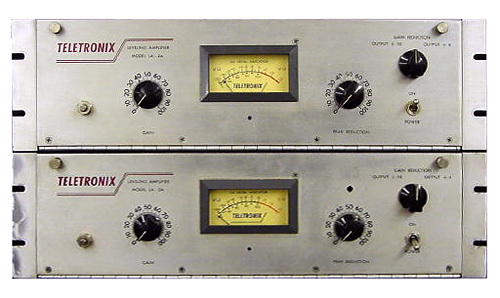 You often hear compressors referred to as "Limiters"... Limiting is basically where the unit has a fixed as opposed to ratio based compression, above which no signal can pass... period! In order to get this effect... simply set the compression ratio to Infinity...(all the way clockwise)... This now tells the compressor... "Above the db level set by the threshold, let nothing pass"... and there you have it... Limiting! or nominate an unlisted compressor unit here! to the board.im using nady scm 300 condenser mics that require 48 volts to power.thats why im going to the board with the mic first.any suggestions?